We vow to stay calm. We warn them that we’re close to losing our patience. And, later, we feel bad about it. Now, it’s not to say that kids don’t need discipline in a lot of situations, or that it’s not okay for them to see our genuine emotion — because that is real and right, in my opinion. But, are there times when you know you overreacted or when it’s like they triggered something and you just kind of lost your patience or control of your emotions even though you didn’t intend to? Super often, when it comes to weight-loss and making healthy decisions, we talk about the importance of finding your why. 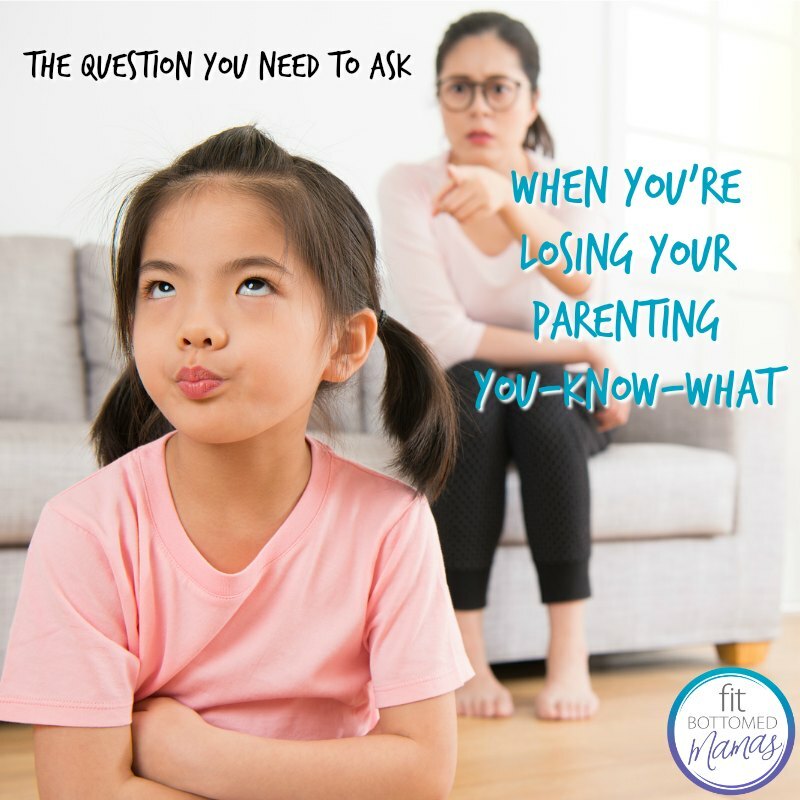 But, I’ve found that, with parenting, the same question can also help you to drill down into what’s really going on during these particularly challenging moments. And, while — full disclosure — I haven’t had the patience/wherewithal to actually do this while in the midst of a mama meltdown, I’ve found it very helpful to ask myself about it after everyone has calmed down (kids included). Just simply get curious and try to let go of any self-imposed judgments or attachments to the answers or reasons. Why did I freak out more than was necessary? Other times, it’s not so obvious. And that’s when you get to go even deeper. Keep asking yourself why — with that gentle curiosity — again and again, and see if there are other times you’ve felt like that in the past, particularly during your childhood years. Is there an emotion that flares up or an experience that comes to mind when you keep asking? A lot of times, we’re just repeating a memory — consciously or subconsciously — or we’re falling into some of the same patterns our own parents raised us with. But don’t get freaked out by the process or by trying to “fix it.” Often, awareness is the first step, and, like Oprah says: when you know better, you do better.